There is nothing as disheartening as watching a child suffer. At Safety Sleep Systems, we seek to lessen the agony that autistic children’s parents will go through every night as they struggle to fall asleep since they have to keep waking up to tend to their sick children who may leave the bed and engage in a potentially harmful activity. 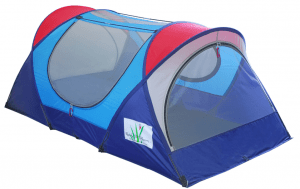 Children with special needs such as Autism, Epilepsy, Down syndrome, and Attention Deficit Hyperactivity Disorder ADHD require specialized nickel bed tents. 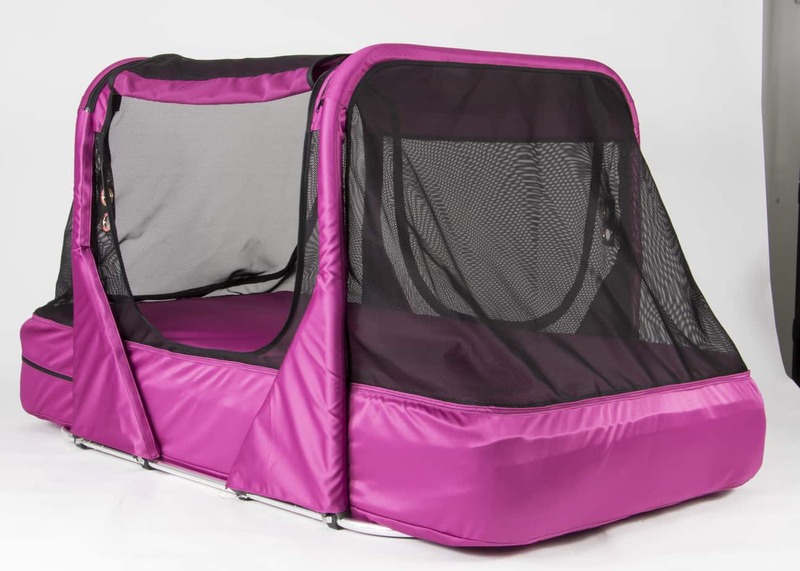 The nickel bed tents will make your child’s twin-sized bed super comfy and safe. The tent base fits at the mattress, securing the child with disabilities at their bed throughout the night. By using the Nickel Bed Tent, parents will have a restful night and their children will be safe throughout the night. The Nickel Bed Tent is portable and this makes it a great tool for travel. Moving around with disabled children is hard. Making them sleep in strange beds is harder. With the help of the Nickel Bed Tent, you can take your little ones out on a long vacation that they have been longing for. It keeps the autistic kids comfortable and safe when their parents are sleeping. It comes with a sturdy design to ensure that even bigger children are held in place during the night. The nickel bed tent has 3 access points from where you can slide your mattress in. It features covered aluminum poles. The nickel bed tent comes with bed accessories that support your needs. It is built for durability, but the sturdy design is softened to make your loved one feel secure. The entrapment comes with coverlet system that allows enough rest space. You will get outstanding customer service. Our team understands what you need to take good care of your loved one. The reason is simple really. You will find no other bed system for children with disabilities with similar portability, durability, and enclosure. You are also unlikely to find a company with a customer service that is ready to customize your product to suit your needs. the first one worked out so well we got one for Grandma’s house. My son had a traumatic brain injury in November. When he got out of the hospital we began the dilemma of what to do with him at night. Since January he has been sleeping in a dome Play Cabana at the foot of our bed. When I realized he was outgrowing it and it was wearing out I decided to do some research on the internet and was so pleased to find your Nickel bed. He has been sleeping in his own for bedroom for about two weeks and we couldn’t be more pleased. He loves his “new tent” and has no problem going to bed at night. If you have a child or even an adult in your care, and such a person is in need of special care due to illnesses such as traumatic brain injury, Alzheimer’s disease, sleep walking, autism, Angelman Smith Magnesia Syndrome and cerebral palsy. One of the problems is that you might have to wake up in the middle of the night to check up on such a person or kid. That is why safety sleeper bed is recommended in such cases. Those who are affected with the medical conditions mentioned above do not in most cases get to sleep well at night especially for small kids they will tend to wake up a few hours shortly after you put them to sleep hence ending up disturbing the entire family. So the answer is to such a problem is that you should get a safety sleeper bed for your loved ones who are in need of special care as it is designed for them. It has 4 holes for your convenience: – The portable safety bed has 2 holes on each side with an even an option for more additional holes if needed. These holes are excellent if you wish to use for pulse sensors, monitors, feeding tubes and oxygen tubes. The structure of a safety sleeper is very soft and durable so that your loved one in need of special care can sleep comfortably in a convenient place. You also do not need to worry about spending anytime soon after buying a safety sleeper for your loved one, as it is made to last longer, though it may seem expensive, it’s worth every dollar you will spends buying it. You have no reason to worry about the bed tipping or moving, if the person you are buying the bed for does a lot of sudden moves. The reason for the bed is so stable that sway straps (stabilizing straps) provide support and stability needed to keep the bed in one place. The bed is portable! You know what that means? Is that you will not need to buy an extra bed while traveling or when going on vacation, as you can securely pack the safety sleeper for your child and go wherever you want go, and your most special one will always be able to sleep comfortable and enjoy long sleep without waking up before morning and disturbing you and the rest of the family members. Also since the portable safety sleeper is soft this will ensure your kid or adult that is in need of special care gets to enjoy and maximize on comfort. Weighs less. The safety sleeper weighs about 25 lbs, which is actually the weight that even an 8 year old kid can lift it up. This makes it possible for you to carry the safety sleeper with you anywhere you go. Comes with six loops for fixing. This is a really great feature as it allows you to attach it on the roof and use it for what you want to suspend. This feature makes it fun for your little boy who is very playful, because you can hang on the bed some of his favorite toys directly, and that will help him relax while he falls asleep. Sometimes it’s really scary when your special one gets to have seizures while you’re not there. Now the problem is solved as safety sleeper does come with the bar cushion specifically designed to ensure the safety of the person who needs special care as it protects from falling off from the bed and maybe hit the head on the floor or any other pointed object . You have an option that you can adjust the safety sleeper with another entry point or expand it to your convenience as you wish. This is a must have bed especially if you really have someone that you love and is affected by either traumatic brain injury, Alzheimer’s disease, sleep walking, autism, Angelman Smith Magnesia Syndrome or cerebral palsy. Such a person will need a special care and the safety sleeper will help you provide just that to you loved one. We give our commitment to all caregivers out there who struggle with taking care of a loved one especially during the night when they also need to get some rest. We give such caregivers peace of mind even after falling asleep with the knowledge that their disabled children will not tip or wander off their beds. We strive to give outstanding customer care even as we deliver a nickel bed tent that has no peers in the market. Our pursuit of creating a safe environment for the disabled loved ones every night whether at home or when traveling will only continue to improve!